To start this review on the right foot, let's get some things clear first. This will help us understand the reasons the app we review has been made and we will also be able to understand some of the clever design features the app possess. So, to put it quite simply, the app in question, Learn English in context, helps you learn English and how to use it in day to day situations, in real occasions everyone is encountering everyday. Just to make matters clear, everyone should know English. Although there are other common languages, English (and not Spanish or one of the Chinese dialects) is the true international language today. So what does Learn English in context do? Like we said earlier, this is an English learning app that not only tries to teach English but its goal is to teach everything a person would need to actually use the language in real life situations. In addition, the app itself has a LOT of features, all designed to make learning easy and fun. The app has lessons and videos, friendly clips designed around specific topics of interest, from nouns to tenses to expanding vocabulary. This is useful since we all like watching videos, so why not learn from them at the same time? The app also has games, from hangman to guess the letters, all to make learning that much more fun and varied. Last but not least, the app has its dictionaries and even a place for leaving notes, about lessons or things learnt or whatever the user wants. So, we gave the app to our reviewers and waited for their remarks. A learning app is not something most people would like to have (as most people don't have fond memories of school or learning experiences in general) but our reviewers were pleasantly surprises with this app. The sheer number of features and ways to learn made going through the app much nicer, since you can watch a movie, take a quiz, play a quick game and then repeat without getting bored. The games the app possess are quite varied and some of them are challenging. 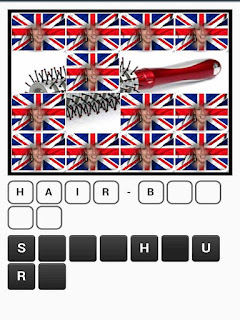 The quiz game gets quite difficult after a time and provides a good challenge. The hangman was also a favorite of many of our reviewers. Our reviewers reported that the app has quite a comprehensive context learning aid. 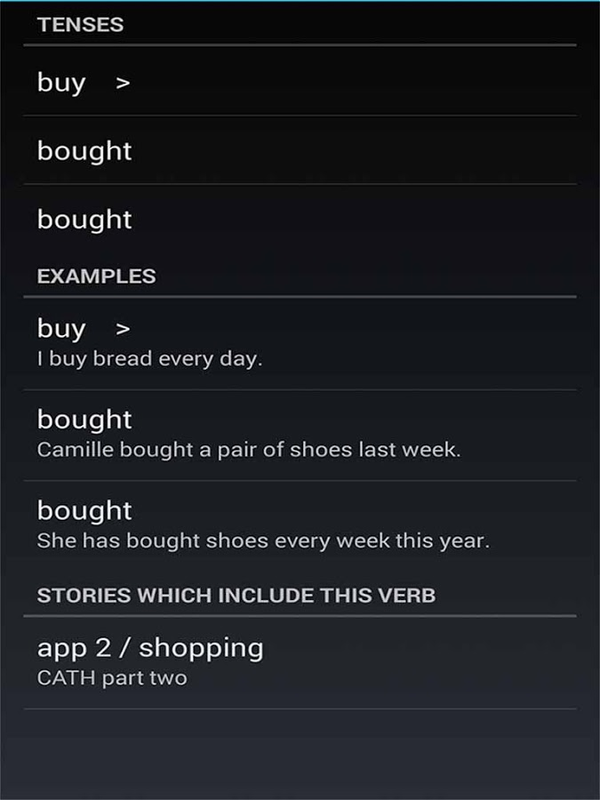 That is, the app allows the user to learn and use English in various situations, from home to work to leisure. This was especially useful because it allows the user to practice English just the way he or she must use it in his or her real life. Or reviewers also liked the videos and other media presented by the app. It is clear a real effort has been made to make the video both entertaining and educating, as the English used was exactly one would use in real life situations and watching the videos was both rewarding and not tedious, which occasionally happens with educational videos. Our reveiwers also sent in a few tips and tricks. First of all, Learn English in context is an educational app. This means that to make the most of it, you must clear some time (not much, even ten minutes a day would be a great start) and learn what the app has to teach you. And during that time, turn off the TV and radio and just pay attention to the app. Another trick is the opposite of the previous one ... It is true that to learn from the app you have to dedicate some quality time to it but even if you have a few minutes here and there, you can still benefit greatly from the app just by playing the games and the various quiz games. As the old saying goes, practice makes perfect and to really learn to use English you must practice it. The tip our reviewers sent about this matter is to plan in advance and to see which situation you are going to encounter next and to study that subject in the app, as the subjects are context oriented this should be both easy and helpful. The last but not least tip is to use the note taking and dictionaries the app contains. 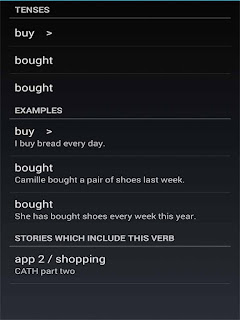 When practicing English, just keep the app handy and check new words with the app and write down interesting phrases in the notes section of the app, all to make our English that much better. Score: 4.7. 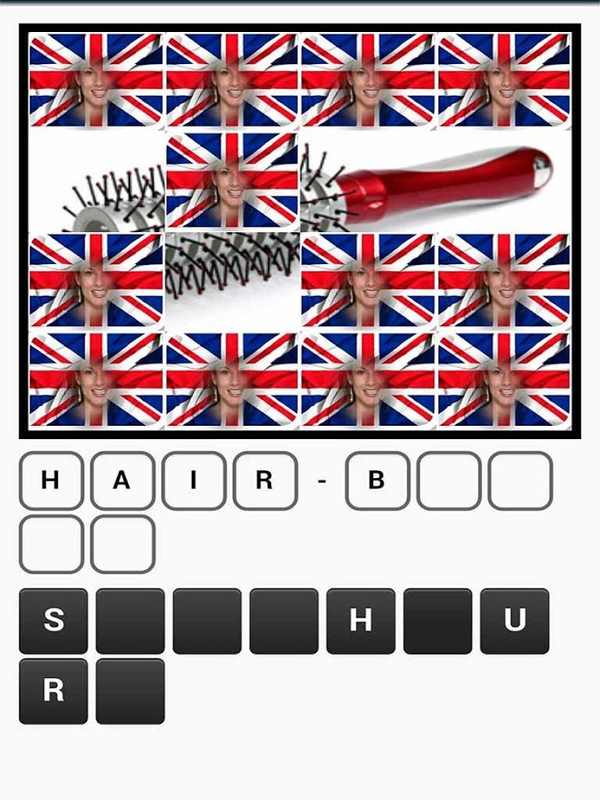 An English learning app. 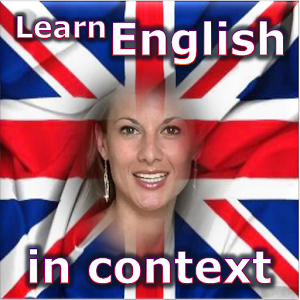 Description: Learn English by context teaches us English by focusing on situations and their relevant context. Good Points: Context based learning. Comprehensive dictionaries. Good media designed to help in learning. Note taking feature. Bad Points: None that we saw. Perhaps the ability to differentiate between British and American English, though that would have turned the app into a complex monster. Experience: Setting up and start using the app was quite easy and straightforward. Finding the various games and media took a little digging but everything is well places and easily reached. Longevity: All those who needed improvements in English kept this app installed. Interestingly, even some of those who knew English perfectly found the app educating and improved their English with it.